As First Lady of the United States of America – the first African-American to serve in that role – she helped create the most welcoming and inclusive White House in history, while also establishing herself as a powerful advocate for women and girls in the United States and around the world, dramatically changing the ways that families pursue healthier and more active lives, and standing with her husband as he led America through some of its most harrowing moments. 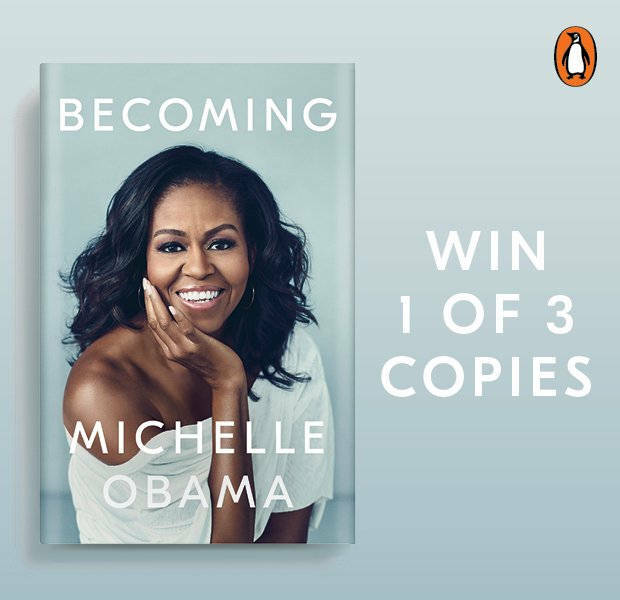 Three winners will each receive a copy of Becoming! To stand a chance of winning, simply complete the online competition form here. The cut-off date for entries is 30 November 2018. Terms and Conditions apply.